CREED II Teaser Trailer & Film Details! 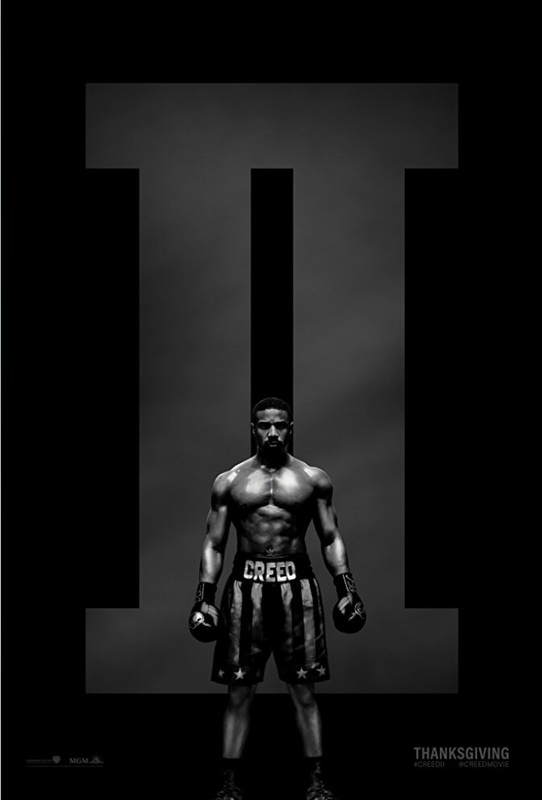 I know we have a little while before November, but the Creed II trailer is out and is set for release on November 21st, 2018. It will star Michael B. Jordan, Sylvester Stallone, Tessa Thompson, Wood Harris, Russell Hornsby, Florian “Big Nasty” Munteanu, Andre Ward, Phylicia Rashad and Dolph Lundgren. It is directed by Steven Caple Jr. and Sylvester Stallone wrote the script as well. Official Synopsis: Life has become a balancing act for Adonis Creed. Between personal obligations and training for his next big fight, he is up against the challenge of his life. Facing an opponent with ties to his family’s past only intensifies his impending battle in the ring. Rocky Balboa is there by his side through it all and, together, Rocky and Adonis will confront their shared legacy, question what’s worth fighting for, and discover that nothing’s more important than family. Creed II is about going back to basics to rediscover what made you a champion in the first place, and remembering that, no matter where you go, you can’t escape your history. Something I had to overcome in my life was getting my high school diploma. I have high functioning Asperger’s Syndrome and was always told by teachers and peers that I wasn’t good enough and more importantly, smart enough to succeed in life. I even had a teacher when I was in the 9th grade try to talk me out of getting my high school diploma and literally told me that I won’t graduate! I went through all four years of high school having this same teach-along with others, in my ear, telling me that I wasn’t smart and that I wouldn’t go very far (as in life events such as school and beyond.) My Mom and God were both in my corner, and I knew if I gave up I’d let them win. I wouldn’t give them the satisfaction of proving themselves right. I wanted to prove to all those who had doubted me-and to myself, that I could graduate. I ended up being part of the graduating class of 2005 and am now a full blogger and volunteer. The best of us experience self-doubt, which is why our movie heroes are vital to us. In taking us on their journey, they teach us what it feels like to go on the journey of our own. They represent us until we’re brave enough to become them. That’s the magic of the cinema. Be sure to check out Creed II this November, 21st, 2018. Until then, here’s the official movie poster and the very first teaser trailer.